I learnt a lot about blogging and quick fixes this week, most of them out of sheer tearing your hair out desperation. I.T. GURU I am not. However, I usually persevere until I can find a solution to most things (did I ever tell you about the 100 rock hard sponge cakes I made before I made the perfect one?). Anyway, armed with some new knowledge, I wrote most of this post last night when I was feeling pretty damn good about my blogging skills. I woke up this morning and my blog had disappeared. Off the face of the Ether. I immediately panicked as I am want to do (and ran through the house screaming thinking I had lost five years worth of posts). I was most upset that I had lost my late father's guest posts. I like it when his posts pop up in the Linked Within gadget - it feels like he's still around (as strange as that sounds). It also made me realise how much blogging, my blog and my blogging networks mean to me. What would life be like Blog-less? After messaging every available Google contact point, I finally recovered my blog. It was an error. Lucky, as it could have been much worse. If anyone knows the Google CEO's direct number, I would appreciate it for next time (wink, wink). Anyway, I thought I would share what I learnt this week as hopefully you may be able to use one or two of these tips too or have a better workaround to share with me. And of course, it goes without saying that if you would prefer to have the no fail sponge cake recipe instead, you only have to ask. After this morning's near disaster I finally realised that I need to BACK UP MY BLOG. I know, the shame. 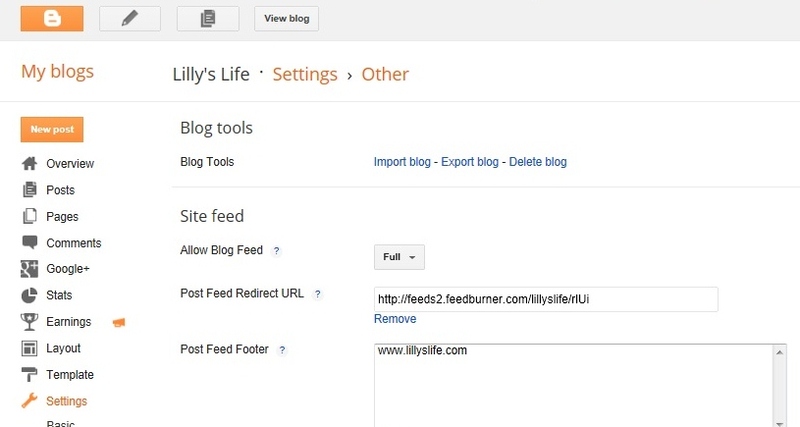 I have never backed up my blog since I started Lilly's Life in 2008. And guess what? It is simple. 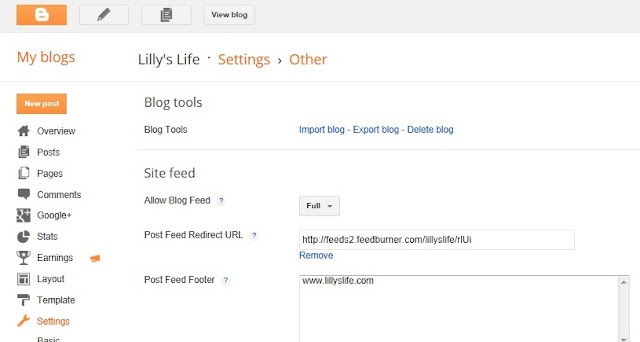 Your blog will be stored as a Blogger export file (.xml) file which can be kept as a backup on your hard drive or imported into another blog. 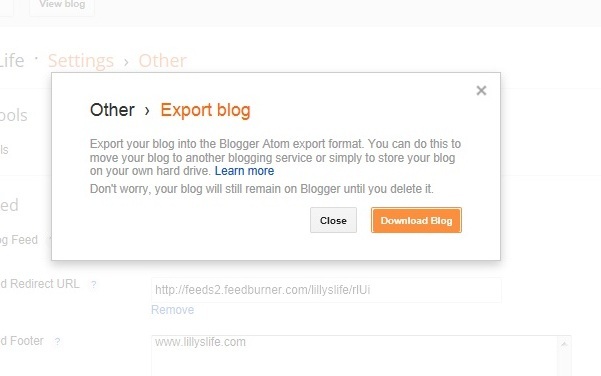 Exported blogs are not deleted from your dashboard or from Blogger.com. So have no fear. If you want to read Tips 2-5, you will find them on my Blog Tips page . These tips will show you how to shorten a long URL, how to add a link in a blog comment, how to change the comment link in posts and how to make your blog mobile phone friendly. I will keep adding to the page as I find new workarounds. And finally, Lisleman asked a burning question on his blog today - What happens to our blogs when we die? It's worth giving this some thought. Best be prepared either way. Thank you, Lilly! I will back up my blog tomorrow. The wayback machine (google it) sometimes has a cache of old blog posts, so that's a good place to look if you think you're blog has disappeared, but exporting/ saving it to your dashboard is even better! I should have done all this when you lost your blog. I know how you must have felt, all that work you did and the beautiful posts and images. You bounced back though, thank goodness. Thanks for the tip about the Wayback machine too. 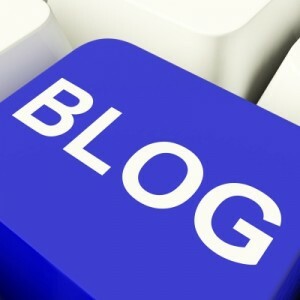 Oh my, I am glad I just read blogs and don't write blogs. It is true though when you first start commenting on blogs it is hard to know how to leave your comment. It could be better that's for sure.Hope you have a better afternoon. I have always had an unreal fear of losing everything in a computer crash ... so I use a service called Mosy Home ... for a minimal amount each month, everything I have is backed up, ready to access if ever that crash occurs. That is interesting Helen, so it is done by your Service Provider is it? Much Check that out too. Blood, Sweat and Tears, yes Lisleman referred to that too. I think I will just let my blog float around the ether for as long as it does and not worry too much. Lilly, Your post just reminded me that it was time to backup the blogs. I have been doing that just as yo mention in this post, and this was a reminder. I would have panicked as well Lilly....and run through the house screaming if I had lost my blog, but I do back up regularly so I would have calmed down after I realised that......never restored a backup though! BTW I have Google Australia's CEO's phone number if you ever need it....blimey it sure was hard to find, they don't make it easy to contact him. Also I would like your no fail sponge cake recipe to try.....just for fun. PS I have been getting blog tips from Jen's Blog....testing out your tip with the link below. Woo hoo Peggy, the link worked. I think this tip was the one I really wanted to learn the most. Often you want to link to something in a comment but under Blogger's comment system you cannot do this with the normal url link. I have checked out Jen's site too, which will help a lot. You have Google CEO'S number? You should have been a detective I think. You have some very good skills or excellent contacts. And here is the no fail sponge cake recipe, it really works and I will be trying it out on the weekend in fact. I like the idea of being a detective, I guess it is never too late for a career change. Thanks for the Never Fail Sponge recipe.....I'll give it a go.....haven't baked in years so the oven will probably die of shock when I turn it on. great advice Lilly, I'll save all this info. I backed up my blog a couple of months ago and can't find my notes on what I did, so this is handy. Thanks Christine, I will keep adding to the tips. It sounds frought this blogging business. Much better from this side of the computer screen. Glad you didn't lose it. Me too Anton. I think it's fun from both sides really. I know I would sure miss it if it disappeared. Thank you so much! Just did it all, following your instructions. Very easy! Thanks Betty, it is easy once we have time to sit down and look at it all. Usually that only happens for me when I have a blog disaster, lol. thanks, Lilly, I'm all backed up, I think I did exactly the same thing in May and totally forgot how I did it. I made my blog mobile friendly, thanks so much! Amazed at how easy it is to do all this now! On wow, thanks Christine I will be reading your blog on my phone now, it is much easier. Like today i had an appointment and had to wait for 20 mins. I was able to read some blogs while I was waiting. I never comment on my phone but I can do that later. thanks so much for the shout-out. I have not tried the export/download route yet. I could be wrong but I suspect that archived file is not readable by a simple browser. Not to say the backup is not worth doing. I did something less thorough but readable by a browser. I saved all my posts labeled memories as "web pages" which was an option on my "save page as" menu. Hi Bill, some things you can make out but what you are meant to do is import it into another blog to access. So if you lost your blog for some reason, you just use your backup to import it into a new blog. These are the notes I found on Google Blogger Help. Yes that makes sense but since there is only one person I know of in the family that blogs at all (who would think of importing), the browser readable pages work better for my purpose. Now you brought up another question - if I had to import the over 1100 posts which ones would I pick. Maybe I should prune a few of the old ones off my list. That's good - it might save you time YW. Thanks for the tip about backing up - pretty simple yet vital. Indeed, Lilly, thanks for the tip. Usually, my blog gets other people's 'backs up'! No so, Mr Mike, at all. This is so WONDERFUL, Lilly!!! Thank you, thank you! I've been backing my blog on to Wordpress and it's a bit tedious to do. I love it that you can back up to your computer automatically. I'll try this out when I am back at my own home computer. that is really good and handy to know, thanks. Now that I'm home in Hawaii, I'm going to try backing up my blog on this computer. I wonder if it just keeps backing up on its own though. Or is this something you have to keep doing on your own?